Sure, we’ll sound paranoid. Sure, we’ll sound like we think everyone is out to get us, but there can be little doubt Alex McLeish, for a supposed Bluenose, appears to have been completely sucked into the new establishment of the SFA and turned completely against everything Rangers, and pro everything Celtic. Remember, this is an ex-Rangers manager who has been up for a return to Ibrox twice, who is a childhood fan of the club – when he was appointed Scotland manager it pointed to a newer era where a Rangers-minded manager would at least address the imbalances in the Scotland setup. Allan McGregor’s retirement aside (he probably saw this coming among the many reasons he ditched the NT), Rangers’ one guaranteed Scotland spot is Ryan Jack. Comfortably one of the best midfielders in the SPL, Jack has had an outstanding season – didn’t even get a call up for depth purposes by this ‘Bluenose Boss’. Instead, with captain Andrew Robertson missing the trip due to oral surgery, many would have assumed 27-year old Aberdeen captain Graeme Shinnie would probably have got the call, given he’s an ex-Aberdeen player, just like McLeish. Nope, turns out it was going to be 21-year old Kieran Tierney instead, only for his own withdrawal to leave 25-year old Callum McGregor as the new captain. Purely, it seems to us, on account of the colour of their club shirt. We’re not big fans of Shinnie on here, he’s crude, brutal and about as cultured as a punch in the face. But he is certainly a leader and for him to be overlooked with McGregor randomly given the armband is another sign that the NT regime is dead set against Rangers and riddled with agenda towards Celtic which affects even its manager. We genuinely let ourselves believe balances would be addressed thanks to Eck getting the job, but frankly it’s just the same pro Celtic anti Rangers trash it was before. No wonder McGregor ditched it. I'm a Ger, bottom line RJ is not a wold class player he's average like a lot of our current team. I'm not or sure I agree with this article. Scotland? No, my teams Rangers,never ever would I cheer on a team that has Celtic players in it.Club football is all that matters and all that matters is Rangers. Your better than this ibrox noise. You think mcleish is licking captains based on them being Celtic players ?? Surely picking just the best man for the job?? As for for Jack , he's been nothing more than consistent for me. Couple of great performances but if we're to win the league must do more. Best man for the job is Graeme Shinnie. That's as plain as the nose on your face. And your opinion on Ryan Jack is fascinating. As for Eck licking captains, that's a mental image we'll never get out our minds. The guys are spot on about Ryan Jack. Bang average player.As for Scotland and S.F.A I couldn't give a toss about them. You thinking Jack is fantastic is far more fascinating IN, as most others seem to agree he's no bad, nothing more. Watch him every other week . Same ones who gave him third place in POTY behind only Morelos and McGregor? Sure! IN being third behind those two this season is no great feat really is it ? Kent is probably the only one I'd put ahead of Jack tbh. But to say he's had an 'outstanding' season is , in my opinion, way too high praise. But if you think that, good on you! I hope he becomes a rangers legend , but he's got a long way to go. If u think eck is picking , or licking players for that matter ahead of Jack cause he now loves Celtic you sound like a paranoid Tim from the 90's! Enjoy your page sometimes. And fair play if you print this, but this a poor post lads. Hi Billy, your comment just hadn’t been approved yet, we do have commitments outside the site, would you believe. Thank you for the insult and attacks though, we appreciate all criticism, constructive or otherwise. Cheers ibrox noise I was maybe a bit harsh, got out the wrong side of bed this morning. Should have said too that over the two cup ties Graeme Shinnie was immense and not one of our players was close to that including Ryan Jack. He is with the Scotland squad on merit and i for one would love to see him in a rangers shirt next season. It has been like that for a long time hence the reason I wish the Scottish national football team nothing but pain and humiliation. However, I know Ryan Jack is popular with IN but I personally think he is a decent player, no more, and see no problem with him not being called up. We've had many years of Scott Brown being lauded as a great Scotland captain which brings complete ridicule to the role so who gets the armband now is irrelevance. C'mon San Marino do us all a favour! Pain and humiliation duly delivered hahaha! I am indeed but I spend much of my time abroad amongst fellow Brits and try to keep it quiet. It's a shame what's happened to this once proud country of ours in the last 10 years. Football and our treatment by others has a lot to do with it but so has the unfortunate rise of the SNP. 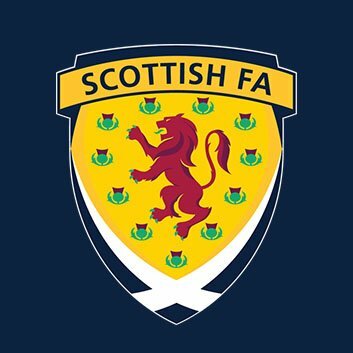 What you are seeing now with the Scottish national team is all self inflicted by Scottish footballs desperation in sending Rangers to the 4th tier in 2012. Reap what you sow. What’s the SNP got to do with Football?We haven’t qualified for a tournament for 22 years so nothing to do with us going down to the bottom division. SNP has nothing to do with football. I was just expressing my disharmony at life in general in Scotland, the division, the pettiness, the vindictiveness, the points scoring against opponents, shutting down other people's opinions etc. Actually, wait a minute, it has got something to do with football! Sure we haven't qualified for a tournament for 22 years but if you gleefully take action to demote the team that has kept football in this county alive for 100 years and set them back 10 years then you have to accept some responsibility for the demise of the national team. Big Eck, has turned tail. We will not forget! Glad to hear you liked this piece even more than we like your comments.